The Queen’s Hotel is nestled in the heart of Oudtshoorn, South Africa, and is situated in close proximity to a multitude of restaurants, curio and coffee shops. The Queen’s Hotel is the third oldest hotel in South Africa and was built in 1880. The original building was made of stone and had a thatched roof. At that time it belonged to a Mr Ford. We offer 40 stylishly decorated en-suite double bedrooms providing individually remote controlled air-conditioning and television, with DSTV, clock radio and direct dial telephone. Skillfully renovated using only the finest materials, from the marble in the foyer to the handpicked antique furnishings, The Queen’s Hotel offers colonial style accommodation and service that is reminiscent of a by-gone era. A sparkling swimming pool in a secluded, court-yard area is like a welcoming oasis house guests during the scorching hot summer-time. A favourite spot for our in-house guests. The Colony at the Queen’s in Oudtshoorn is a fine example of the latest trend of offering fine dining in hotels. Dishes for the menu were thoughtfully designed and selected and the extensive wine list, with top South African products, is a perfect match. Enjoy a sumptuous lunch in our trendy coffee shop. Cafe Brule, situated at the front entrance of The Queen’s Hotel for easy access. We also boast with a range of curio shops for souvenirs and a unique selection of gifts, as well as a privately owned beauty salon for those who require a well-deserved pampering. The Queen’s Hotel has 40, beautifully furnished en-suite bedrooms. The decor of these uniquely decorated rooms combines cherished antique aesthetics with crisp & tranquil colours, which are modern & light. 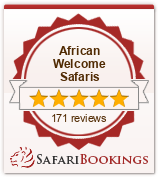 All rooms are air-conditioned with television (DSTV), clock radio, direct dial telephone & coffee / tea making facilities. Bathrooms are en-suite & contain towelling & toiletry amenities. Most bathrooms have a bath, with overhead shower, but deluxe rooms include a separate shower and are available upon reservation. The Colony Restaurant at The Queen’s Hotel in Oudtshoorn, is an excellent example of the latest trend in serving delectable meals at a well-known hotel. The rich, warm colours inside the restaurant creates a charming, endearing atmosphere, with beautiful, enigmatic prints of ostriches and African themes to enhance the original, unique feel of The Colony’s rustic setting. The Colony Restaurant is renowned for its award winning A ‘La Carte Menu with a wide variety of exquisite cuisine to choose from. The Restaurant also boasts a complete wine list, including some popular wines from the district.